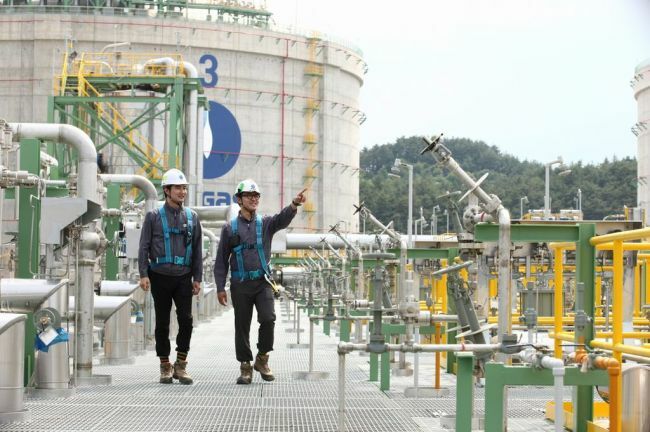 The Korea Gas Corporation said Thursday that the company conducted safety inspections at its two local liquefied natural gas facilities from July 11-12. The safety checks were conducted as a part of the government’s summer electricity supply plan, it added. With Kogas Senior Executive Vice President Kim Young-do in charge, the nation’s largest gas buyer checked the storage and supply equipment at its facilities. “With thorough safety inspections, Kogas will try its best to stabilize electricity supply with safe measures, as LNG facilities play an important role in the country’s electricity supply during the summer,” Kim said.